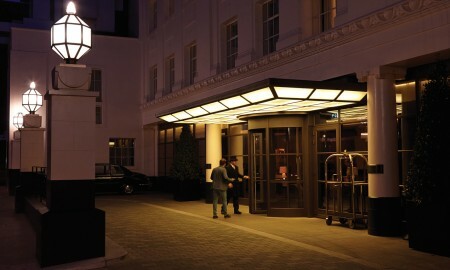 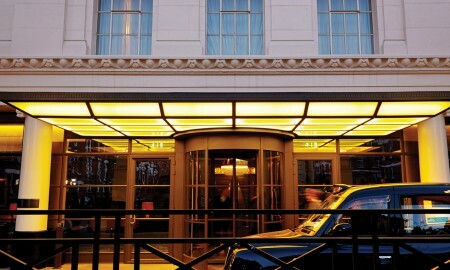 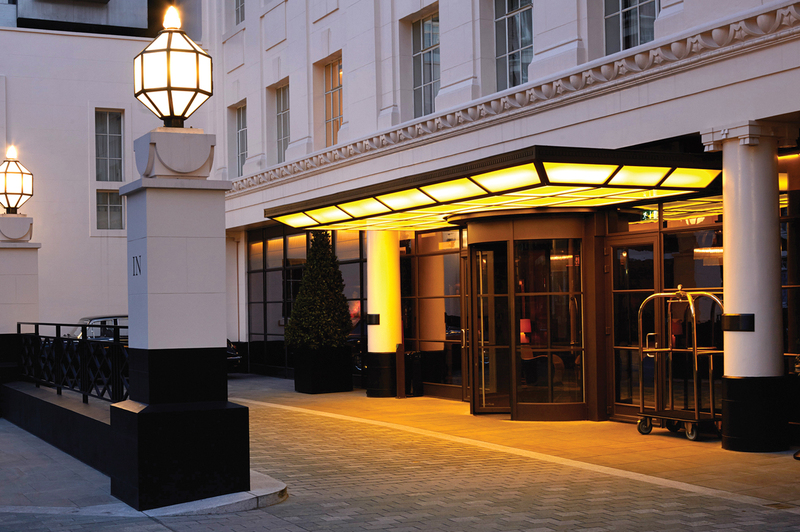 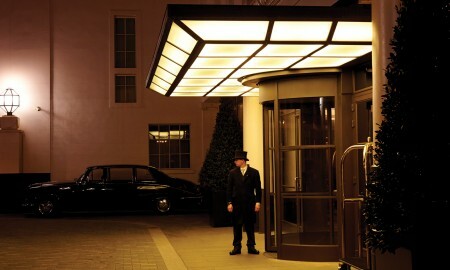 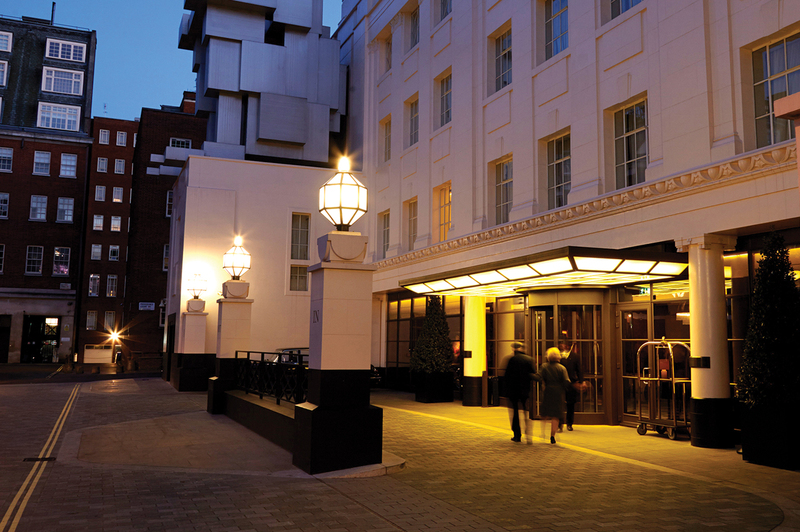 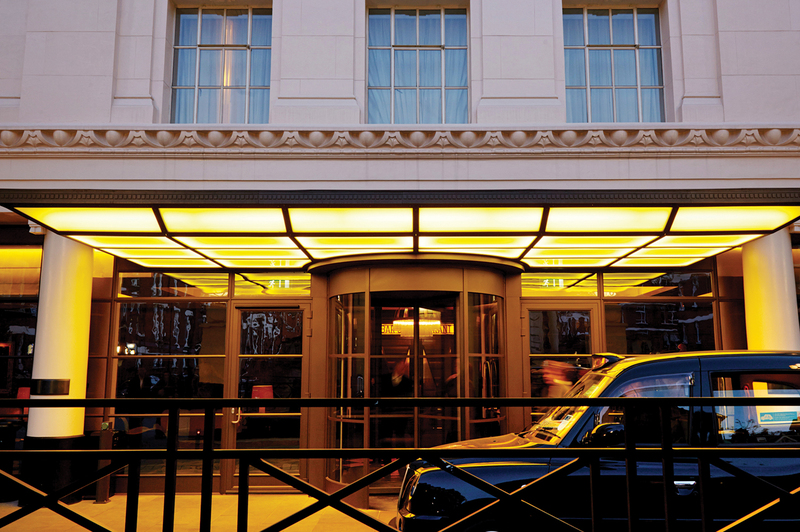 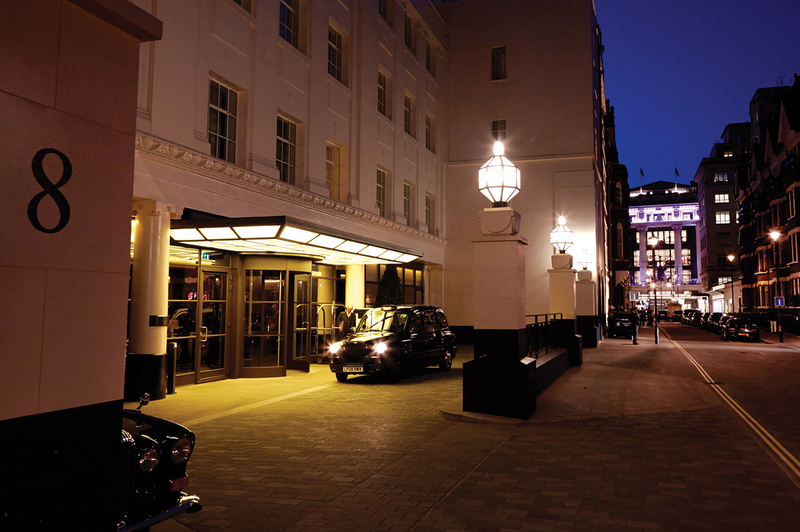 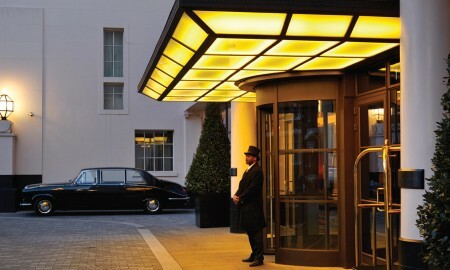 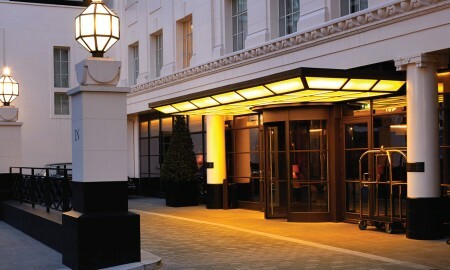 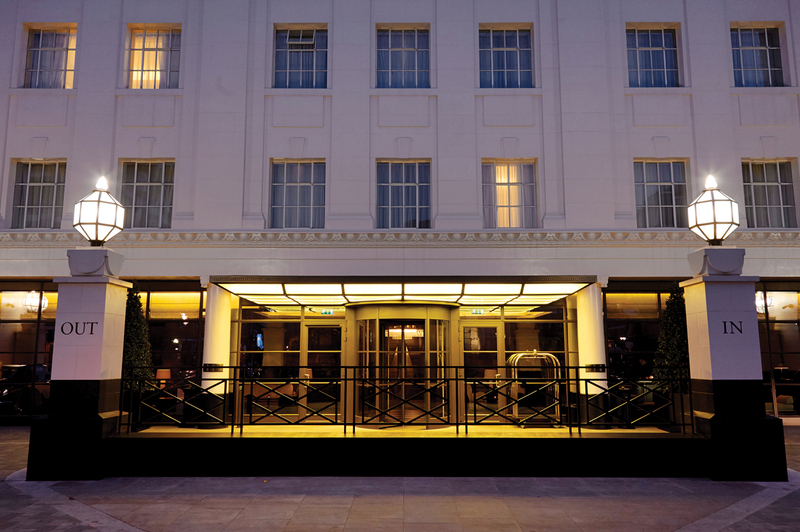 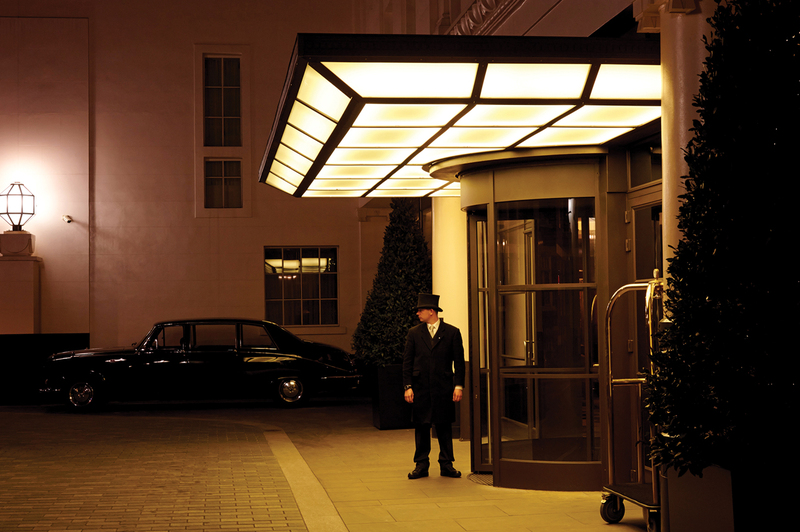 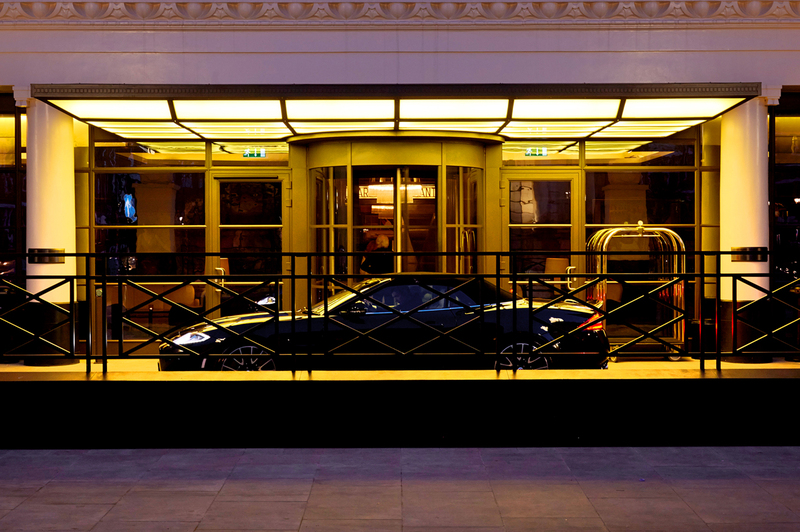 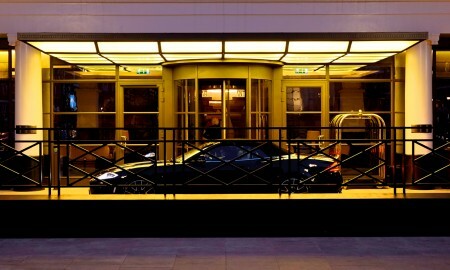 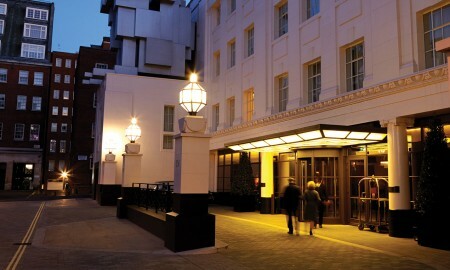 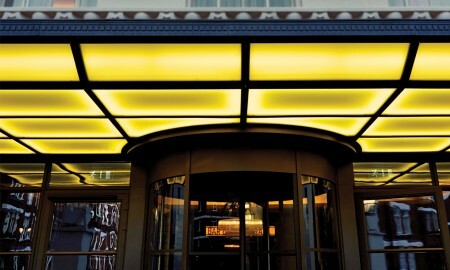 The Beaumont Hotel emerged in London during 2014, the first hotel operated by London restaurateurs Chris Corbin and Jeremy King. 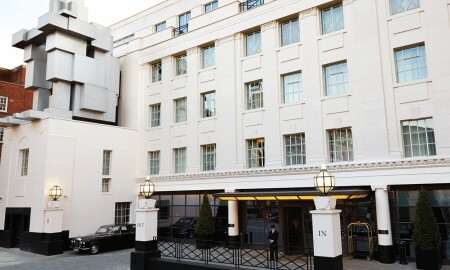 Perched on the South-West corner is the unique ‘sculptured’ steel man designed by Antony Gormley. 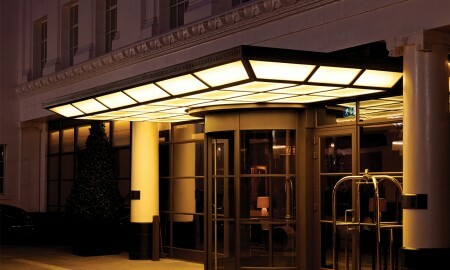 The ‘Room’ as it is know features prominently offering its occupants opulent hotel couture. 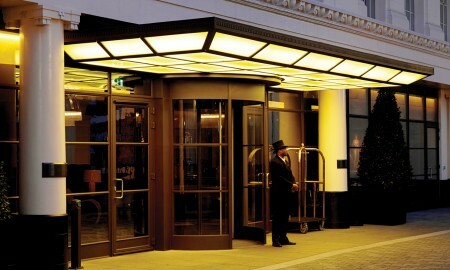 Set slightly back from the ‘Room’ the entrance to the Hotel features a Broxap canopy that is also art deco (to match the theme of the entire Hotel) and possibly as intrinsic as ‘Room’ itself as it offers an opulent welcoming ambience to people arriving at the Hotel entrance whether by day or night. 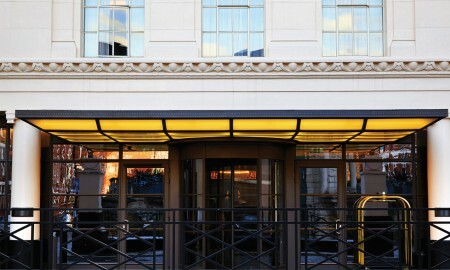 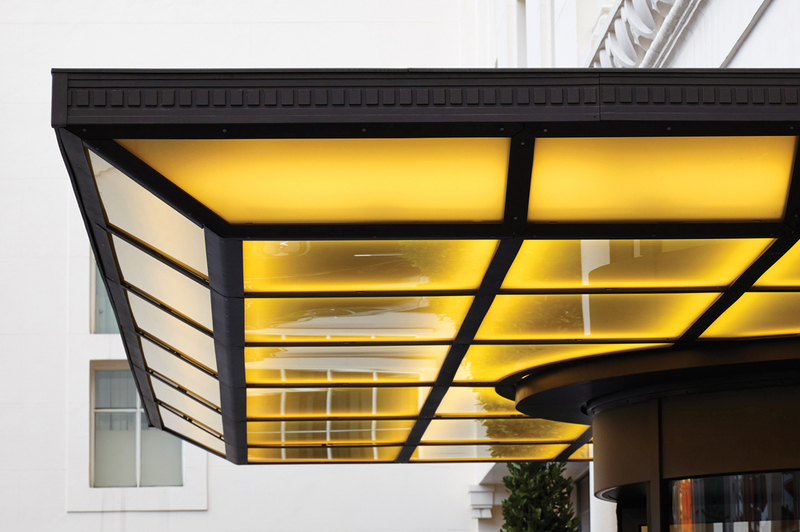 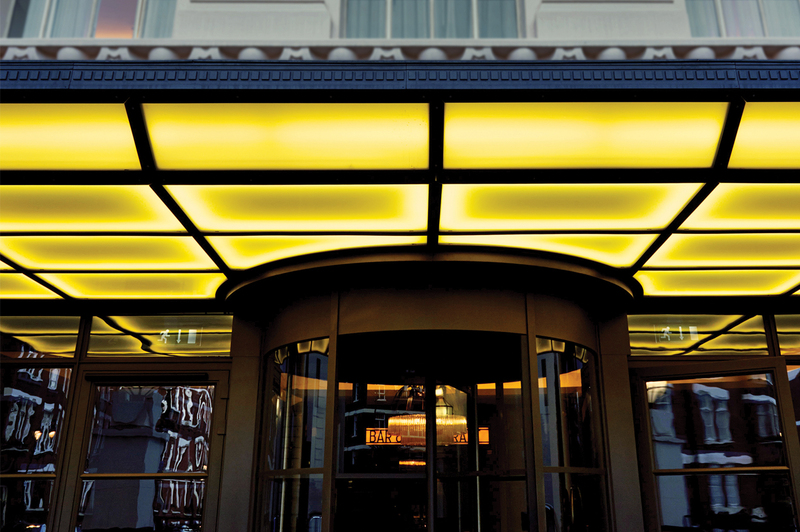 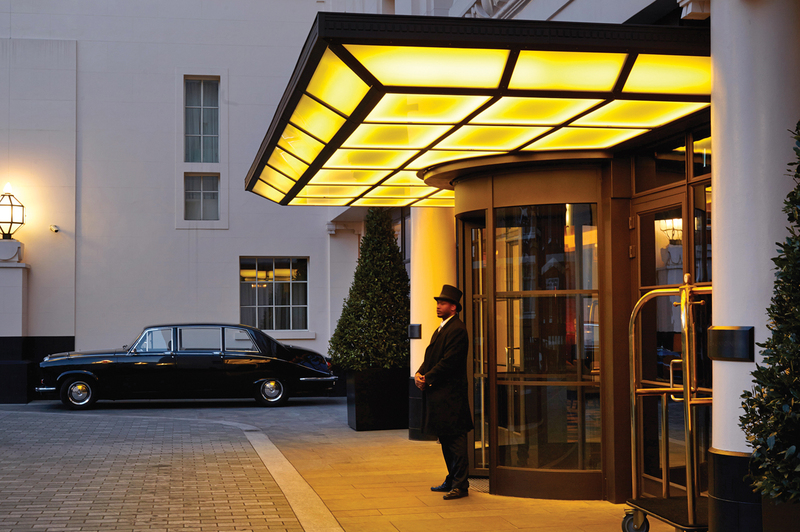 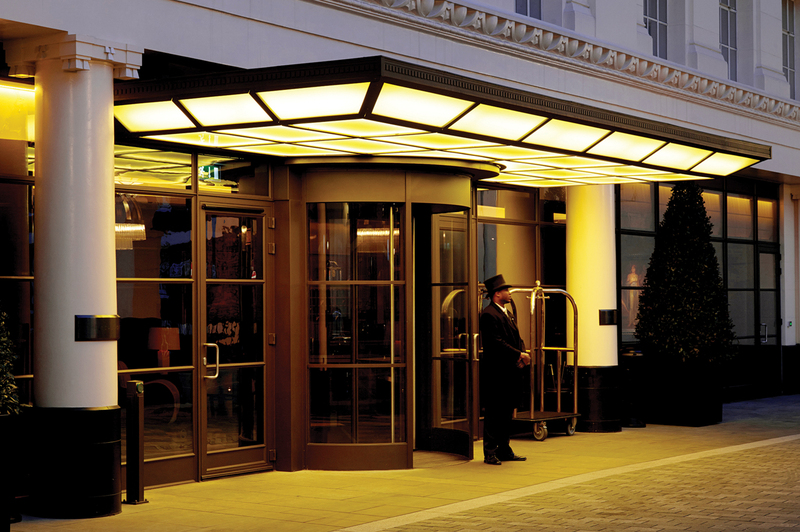 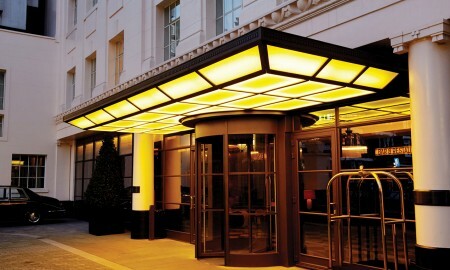 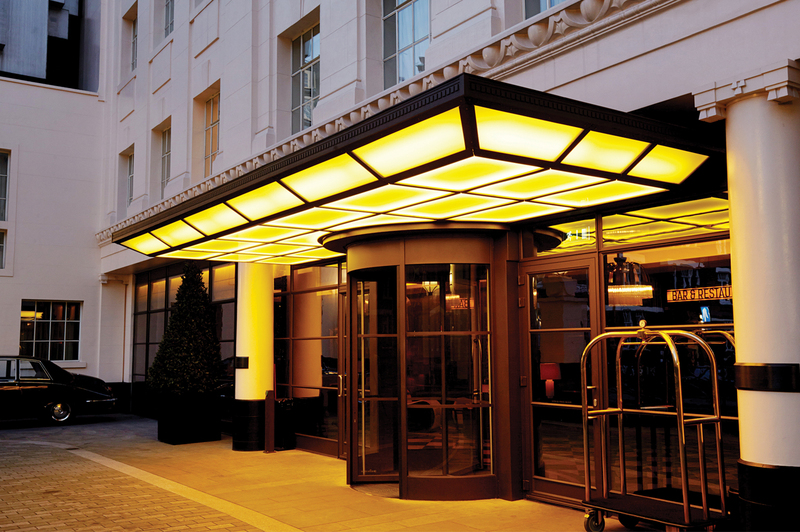 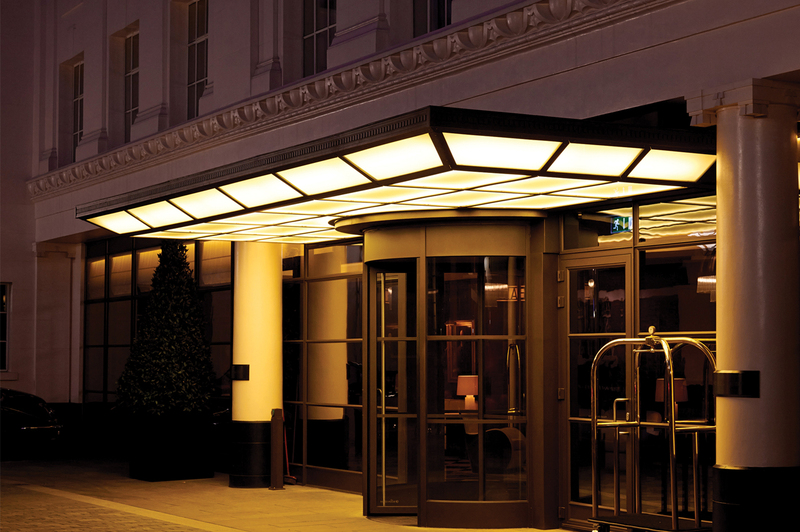 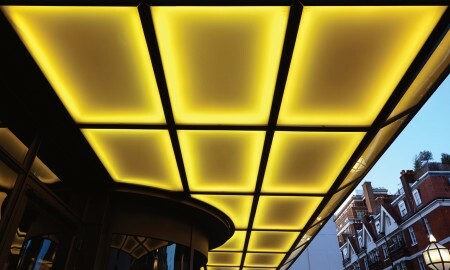 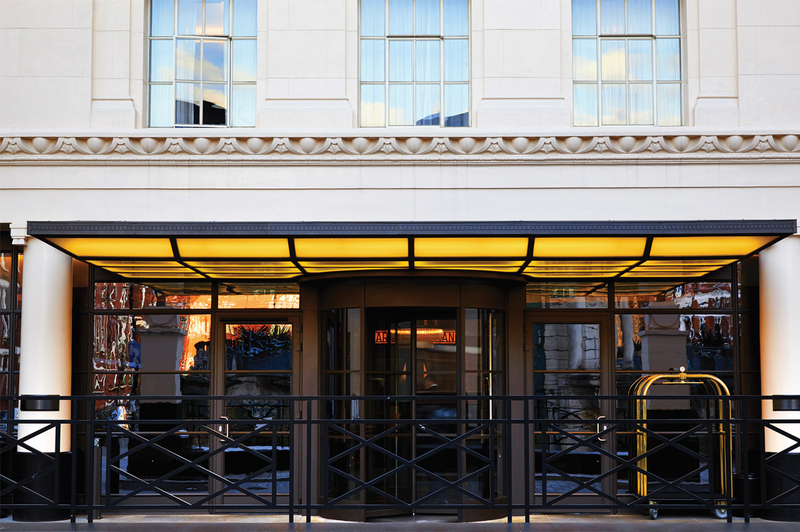 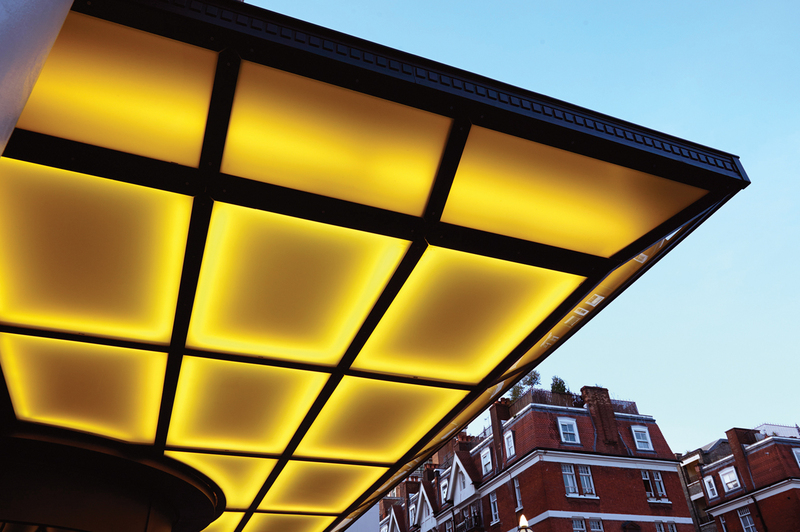 Working with Anglian Architects, Broxap created this modern take on a traditional canopy yet kept it in line with the art deco look and feel of the Hotel. 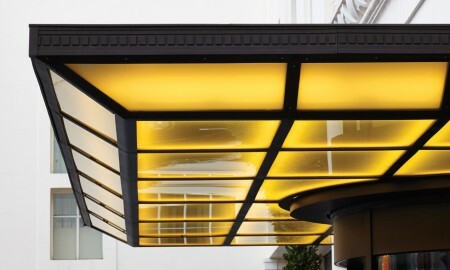 The canopy was constructed of fabricated ‘T’ section support arms and glazing support bars, folded aluminium Fascia to perimeter including decorative frieze and patent aluminium glazing bars. 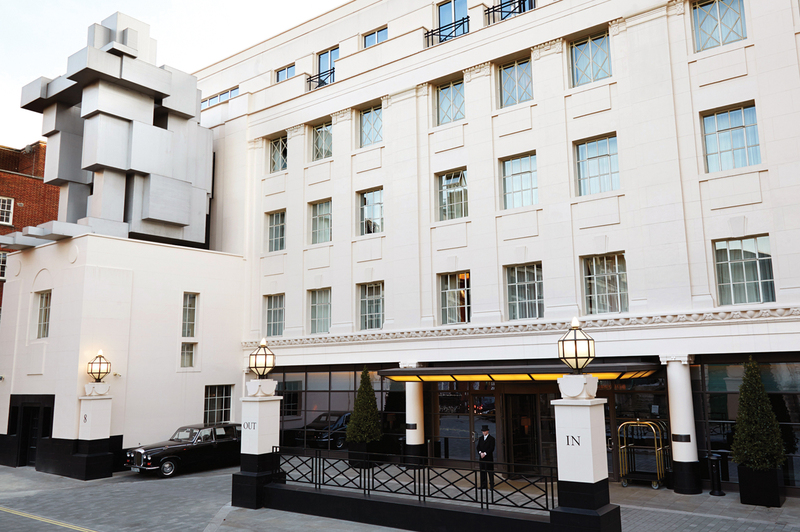 There is a standing seam roof to the top of the canopy complete with standing seam vertical zinc cladding to the rear section including soft wood framing and 20mm vent slot with vermin mesh. 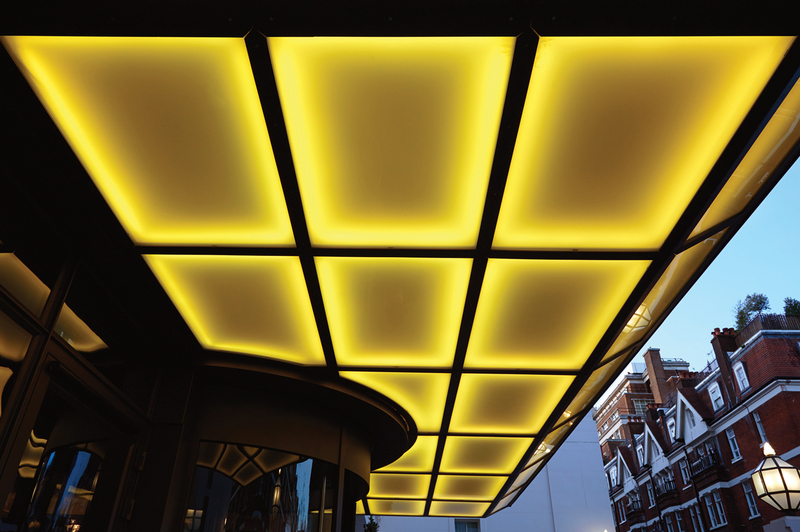 The underside has 11.5 mm laminated Vanceva glass panels with an opaque finish. 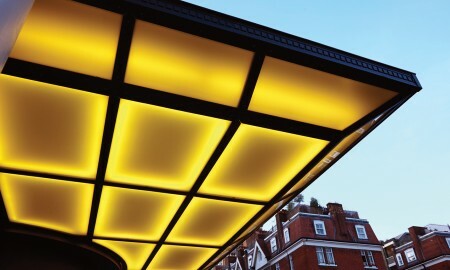 Guttering is stainless steel and integral lighting was fitted by others on site. 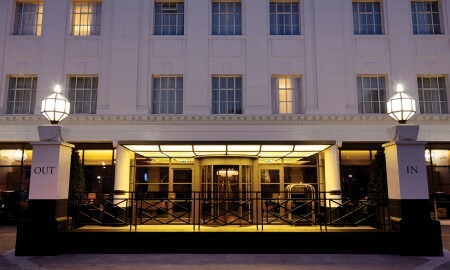 To read more about The Beaumont click here or to find out more about Antony Gormley (with whom Broxap worked previously by casting the iron figures for ‘Another Place’ at Southport) click here.